What The Naked Oyster’s owner and executive chef doesn’t mention is that the private family was her own. Lowell’s kitchen training began before she could even reach the counters. Baking was all done at home as well. “The first thing I learned how to do was to make the batter for clafoutis, (a dessert) between a flan and a cake,” Lowell says. 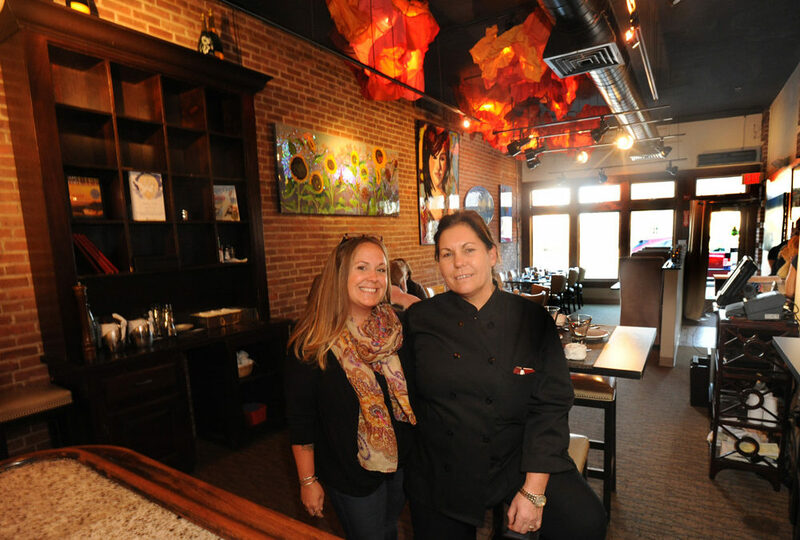 Although she moved on to train at a dozen restaurants in cuisine as diverse as Cajun seafood and smoked game, Lowell’s roots remain French, so it’s not surprising that hers was one of 1,500 restaurants on five continents that celebrated “Goût de France, Good France” on March 21. The annual event was inspired by Auguste Escoffier, who launched the “Dîners d’Épicure” initiative in 1912, which called for serving the same menu, on the same day, in several world cities, for as many guests as possible. In Hyannis, about 75 people attended the $38 dinner, which opened with oyster and raspberry mignonette from The Naked Oyster’s 2-acre sea farm (which supplies the restaurant with 100,000 oysters a year) and included homemade lobster sausage plus a choice of Nantucket flounder meuniere or canard à l’orange, a Long Island duck breast with blood orange sauce. For the requisite cheese course, Lowell infused milk with cedar from a tree in her garden and used the milk to make a cedar-scented ricotta. Although cooking techniques at The Naked Oyster are what one would see in classical French training, Lowell says she doesn’t see her place as a French restaurant. She spends up to two hours a day reading about restaurants and recipes around the world to keep the Main Street eatery current on the world dining scene. Lowell moved to the Cape 13 years ago when her neurologist husband, David Lowell, became medical director of Spaulding Rehabilitation Hospital Cape Cod in Sandwich. She opened The Naked Oyster first on Independence Drive and then moved downtown. Note: Espelette is a French village where Lowell buys a kilo or two of her favorite pepper whenever she visits home. You can buy it online ($12-$14 for 1.6 ounces) or substitute a tiny bit of smoked paprika. Heat olive oil, add onions and celery, season with salt and pepper. Cook, stirring often, until beginning to brown, 10 minutes. Reduce heat to medium, and add tomato and cook, stirring, until caramelized, about 10 minutes. Stir in one ingredient at the time, a few minutes apart: olives, vinegar, raisins, capers, sugar and chocolate. Cook, stirring occasionally, until thickened, about 15 minutes. Add basil and mix together. If using, saute cubes of zucchini and eggplant in olive oil to desired doneness, add to base. Season with salt and pepper. Adjust to taste the sweet and sour (vinegar vs. sugar).